The iPhone 11 release date is likely in September, but Apple is already rumored to be testing out several iPhone 2019 concepts months in advance, as you'll see below. There are plenty of iPhone 11 leaks to pore over on this page, and all of them point to a more significant upgrade than last year's rather incremental iPhone XS design. It may not be a radical top-to-bottom change considering the iPhone X redesigned launched in late 2017, but the rear camera may get a big upgrade if you turn your attention to the back of every new iPhone 11 concept we've seen. That's good news because Apple isn't selling as many iPhones as previously forecast, so its next flagship has to wow everyone or come down in price to stay competitive. Having analyzed previous Apple events, we predict that the iPhone 11 launch date will be on Tuesday, September 10, 2019. 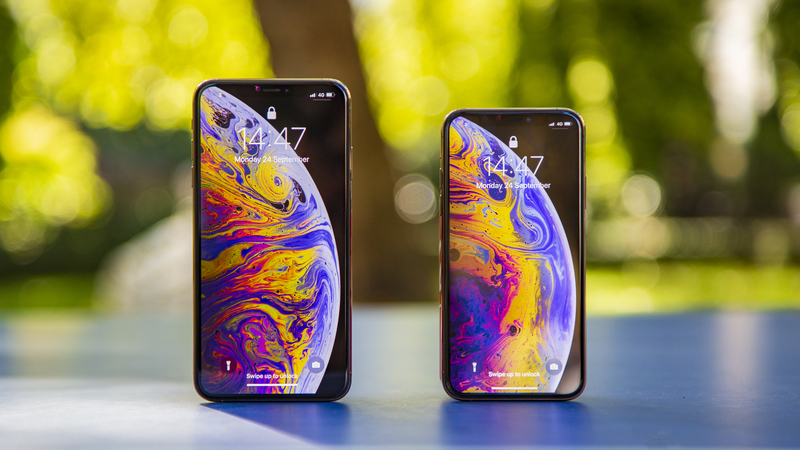 With three iPhones launched in 2018 – the standard iPhone XS, larger iPhone XS Max and budget iPhone XR – we expect Apple to repeat the trifecta this year with the iPhone 11 possibly launching alongside the iPhone 11 Max and the iPhone 11R (names TBC). So what new features will the iPhone 11 have, and will it still have a notch? Let's investigate what we expect from Apple's next flagship iPhone. We're seeing iPhone 11 renders (shown below) months ahead of Apple's expected launch event, and all of the attention so far has been to the back. The images show three cameras in a central block on the back, a back which looks to be made of glass, as we'd expect, while the front retains the notch from the iPhone XS. We've seen this design rumored a second time now, so it could be accurate. However, it's not the only design doing the rounds, with another showing a triple-lens camera in the left corner. That would be more in line with where Apple currently places the camera. These image also show a likely glass back and the same arrangement of buttons as the iPhone XS, and multiple leakers have claimed they're right. The leaked case dummies that you can see above show how the triple-lens rear camera might look. Respected Apple analyst Ming-Chi Kuo has weighed in to say that one of these lenses might be almost invisible, adding at the same time that the selfie camera will get a boost from 7MP to 12MP. One of the sources of the earlier images added that three new iPhone models are in the works – successors to the iPhone XS, iPhone XS Max and iPhone XR. It looks very much like we'll get three models again this year. We've heard that the iPhone XI will have a 5.8-inch display, just like the iPhone XS, but with smaller bezels, and that it won't support 5G, but that it will, surprisingly, have a 4,000mAh battery and a USB-C port. The same source says to expect space grey, gold, silver and blue colors. The size of the phone is a hotly contested one though – while some reports say it'll stay the same size, others suggested the main iPhone 11 will be a bit bigger, and there are too many contradicting voices so we can't say anything with any degree of certainty. 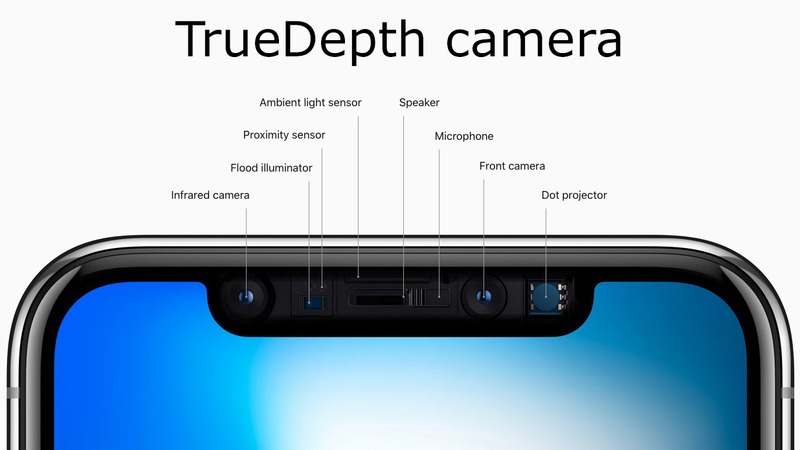 However, another source says it won't have USB-C, adding that the front camera will be upped to 10MP (from 7MP on current models), and that the rear camera will have 14MP and 10MP lenses, as well as a third, currently unknown one. Most of the rumors we've heard point towards there being three cameras on the iPhone 11. We've seen schematics which seem to be for an upcoming iPhone and match the camera layout mentioned in the 'Design' section. 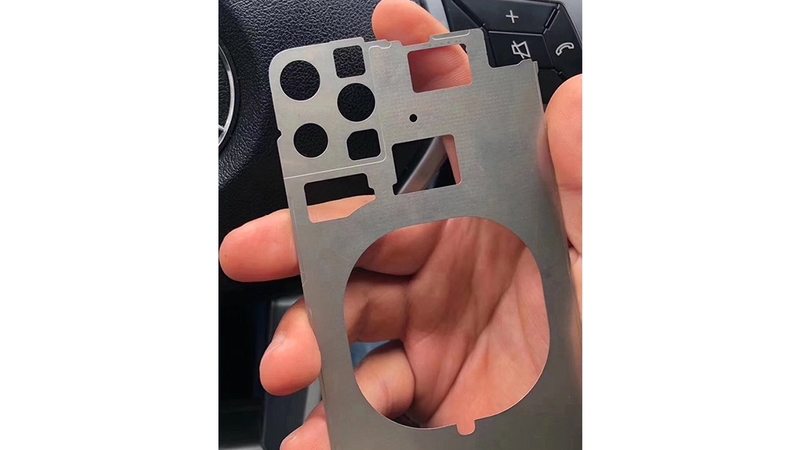 Not only that, but part of a chassis supposedly intended for the iPhone 11 has also been caught on camera as you can see below, and it matches the schematic, showing cut-outs for three cameras in the top left corner. However we've also heard from another source that only the highest-end iPhone 2019 (which we'll call the iPhone 11 Max for now) will have three rear cameras, so it's possible the 'lite' and flagship phones won't. The same source says that the other two handsets will have dual-lens cameras and that the iPhone XR successor will stick with an LCD screen. In fact, we're hearing this from multiple publications now. The iPhone 11 Max may be the one version with a triple-lens camera, while the smaller handsets in the iPhone range may get them "eventually," reports Bloomberg - so possibly not the 2019 models. Interestingly, a laser-powered 3D camera was supposedly destined for the iPhone 11, but said to have been delayed to the iPhone 12 (or whatever Apple calls its iPhone 2020 model). This iPhone roadmap suggests Apple is going all in on augmented reality (AR). As well as a better front-facing camera though, the iPhone 11 could also pack the snapper and related sensors into a smaller notch, as a new tech created by one of Apple's camera component suppliers allows for some of the sensors to be placed under the screen. There's no confirmation that Apple will use this tech, but we'd expect the company will be looking for ways to shrink the notch. We've now heard multiple times that it won't get USB-C, so don't count on a change from Lightning. One new feature it might get though is two-way wireless charging, allowing you to use the iPhone 11 as a charging mat for other devices. It's a rumor we've heard more than once now so it definitely seems to be on the cards. In order to make the most of that feature the battery could grow, with reliable Apple analyst Ming-Chi Kuo suggesting that the iPhone 11 could get a battery that's roughly 20-25% bigger than the 2,658mAh one in the iPhone XS. The iPhone 11 Max's meanwhile could grow around 10-15% larger than the 3,174mAh one in the iPhone XS Max and the iPhone XR successor could get one 5% larger than the 2,942mAh one in the iPhone XR. That would all apparently happen without making the phones any thicker, as the laminate on the screen would instead be thinner. 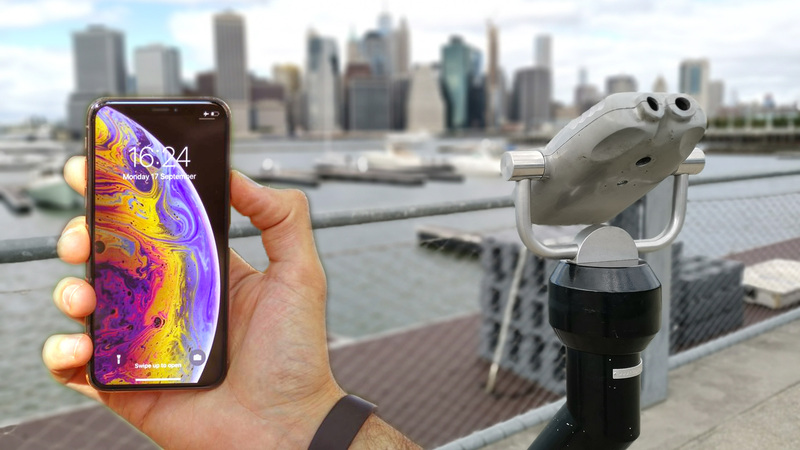 The same source for the first reversible charging tip adds that we might see a frosted glass back, and ultra-wide band connectivity, which would allow for improved indoor positioning. That could help with navigating interiors or might benefit AR applications. The new iPhones may even be easy to use in the rain. A new report claims Apple is experimenting with a new tech that allows you to use the phone's screen underwater. What's more, a patent suggests the camera on a future iPhone would be able to tell when you're underwater and alter settings accordingly, so that underwater photographs look better. In other news, one report points to the inclusion of Sony's next-gen 3D sensors in the new iPhone, which could in turn offer quicker face unlock, better Portrait mode depth-sensing and some potentially cool 3D modelling features and (AR) implementations. We recently watched a sample of Sony's AR camera capabilities. We did see a patent suggested the iPhone 11 could have sub-epidermal scanning to unlock, in which the front camera would scan the veins and blood vessels in your face using IR to make sure it's actually you unlocking the phone. For something else a little bit weird, a patent filed by Apple shows a system in which a sensor monitors chemicals in the air, in order to 'smell' odors – including body odor. This could be used in the iPhone 11 or Apple Watch 5, or perhaps a later device. Meanwhile, another iPhone 11 leak suggests the new handsets could support input from the Apple Pencil that currently only works with iPads. Apple usually introduces a new chipset with its new iPhone launches, and the A13 chip is being touted for the iPhone 11, with analysts claiming a manufacturer is already lined up to produce the A13 chip. Inside the device we've heard talk that the iPhone 11 will include support for the latest Wi-Fi 6 connection standards – though 5G tech might have to wait until the 2020 iPhones. The iPhone 11 launch date may be a little later than previous years, as Europe's biggest tech show, IFA 2019 in Berlin, is set to run from September 6-11 this year - which may see Apple defer its new iPhone launch to the following week. It's unlikely though, as the new iPhone launch has crossed over with the show a number of times (including 2014, 2015 and 2016), which means we're still most likely to see an announcement week commencing September 9. Apple historically hasn't held its phone event on a Monday, with Tuesday or Wednesday the most commonly used days. With the Wednesday being September 11, a day of mourning in the US, Apple will most likely pick an iPhone 11 launch date of Tuesday, September 10 2019. If Apple does opt to delay the launch by a week, we could be looking at a potential iPhone 11 launch date of either September 17 or September 18. Apple hasn't launched an iPhone this late since 2011, when it announced the iPhone 4S on October 4, and we fully expect the Cupertino, California based firm to stick with a September arrival for the new iPhone in 2019. As for the iPhone 11 pre-order date, Apple tends to open them on the Friday following the launch, which would be September 13 by our calculations. Finally, the new iPhone 11 release date - the day when you'll actually be able to get your hands on the handset for the first time - could be just a week after the pre-orders open, so September 20 if our analysis is correct. These dates could quite easily shift though, and we wouldn't be surprised if Apple followed more recent tradition and launch the new iPhone 11 on September 10. Even without the official iPhone 11 price, we know it'll cost a lot. After all, Apple priced the iPhone XS and iPhone X starting at $999 (£999, AU$1,579). We could see identical prices for the iPhone 11. 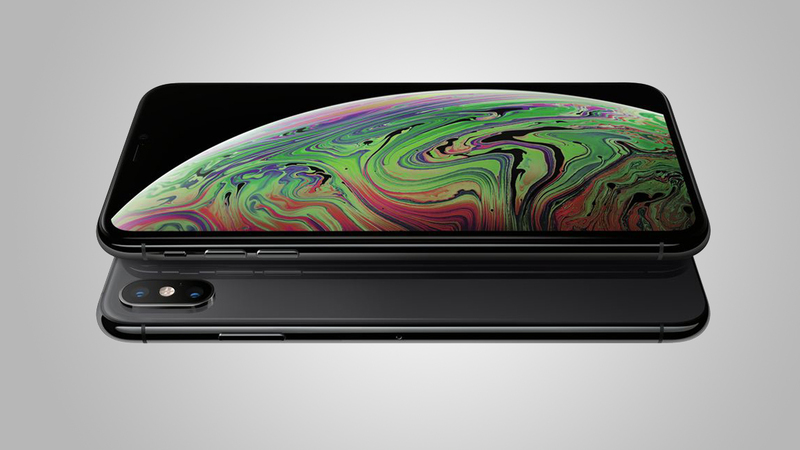 With news that Apple isn't selling as many iPhones as it previously forecast, there's a chance the iPhone 11 price will offer a more affordable look - although we reckon a price freeze, rather than a reduction, is a more likely move by Apple. What will Apple call the new iPhone 11? It's a puzzling conundrum and there are a variety of different options for Apple to potentially pick from. It seems Apple has backed itself into somewhat of a naming corner with the recent XS, XS Max and XR monikers - so where does it go from here? At this moment in time, we're seeing most of you searching for 'new iPhone', and that's a strong contender. Apple has already ditched numbered increments for Mac, Macbooks, TV and iPads, so new iPhone would be a logical next step. However, the numbers are a great way to easily distinguish new devices from old, so both iPhone 11 and iPhone XI are very much in the running. Apple never did give us an iPhone 9 though - with the iPhone 8 the final digit before the 'X' revolution - so going back to '11' may look a little odd. The iPhone XS and iPhone XS Max are great smartphones, but there's always room for improvement and human nature desires more every time - which means Apple needs to shake a few things up. Here at TechRadar we like to think of the whole tech community as one great, big family who help each other out, so we've come up with a few upgrades we reckon would go down a treat on the new iPhone. Love it or hate it, the notch has taken the smartphone world by storm, with a sharp influx in the design aesthetic after the arrival of the iPhone X - however it seems many of the competition have already surpassed Apple's implementation. The Apple notch is distinctive thanks to its size, but that's also its Achilles heel. It takes up a large amount of space along the top of the screen while we seen Android makers bring us dew-drop screens which are only as big a single front facing camera. What's preventing the notch from simply being ditched is all the tech Apple has crammed into it, and to remove it completely could mean a loss of some features - such as Face ID. Apple can probably relocate the microphone, proximity sensor and speaker, which in turn may see a reduction in size of the notch - which would be a step in the right direction. But, no notch would be the killer look - with a clean, elegant design that will surely turn heads. The current design of the XS and XS Max is fantastic - solid, premium and sleek, it's one of the most desirable looks on the market, so is it cheeky of us to ask for something new? We don't think so. 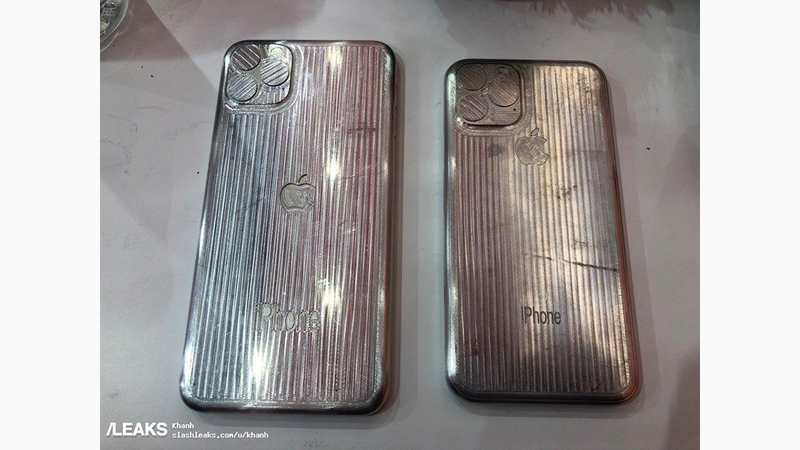 Apple's used the same design for the past two generations, and to avoid the new iPhone 11 being branded another incremental update, a fresh new look would help. It's already removed the headphone jack and home button, so our focus is now on the alert slider, volume buttons and power key. We've seen HTC and Google implement squeezable sides on their phones, and if Apple can hone this technology to make it even more user friending it could be the end of any physical button or switch on the handset. We say this ever year, but the fact remains that iPhones still aren't the strongest performers when it comes to battery life. The iPhone XS provided an improvement in battery over the iPhone X, but as we noted in our review, it's still "a long way from the best on the market." It's time Apple really got to grips with battery life, giving the new iPhone 11 a power pack that will see it comfortably through one day and into the next without a panic about finding a charger overnight. Battery technology isn't going to give us the multiple days of battery life we saw from feature phones back in the early 2000s, but an iPhone that could stretch to two days from a single charge would really get people talking. The latest round of iPhones (the XS and co.) offer dual SIM capabilities, but they can only hold one physical SIM. That's because the other one is an eSIM, which is built into the handset and can be assigned to a network upon activation. Having to slide a SIM card into a new phone feels rather old fashioned in 2019, so we'd like to see the physical card ditched in favor of a dual eSIM setup in the new iPhone 11. We'd also want an easy to use setting that allows us to easily jump onto a network of our choosing at a tariff of our choice and, more importantly, be able to easily switch to a different network when our current deal expires. Plus, it would also mean the removal of the SIM tray, allowing for a sleeker design and potentially freeing up some precious additional space inside the handset for new features (or more battery!). This is only partly on Apple however, as carriers around the world would have to fully support eSIM technology and at the moment only a handful do so. However, with the introduction of 5G in 2019 and the presence of eSIM already inside one generation of iPhone, this ask isn't totally out of the question.